In 2016 the global number of smartphone users will exceed the 2 billion mark and it is estimated that one-third of consumers around the world will use them in 2018. Mobile users spend an average of 3 hours and 15 minutes per day using applications. Why not take advantage of such potential? We comprehensively create mobile applications customised to meet specific needs. We develop applications from the very beginning: starting with the choice of solutions and functionality and then preparing a graphic design layout consistent with client’s image. Finally, we test and implement the app and make the finished product available for download in stores. 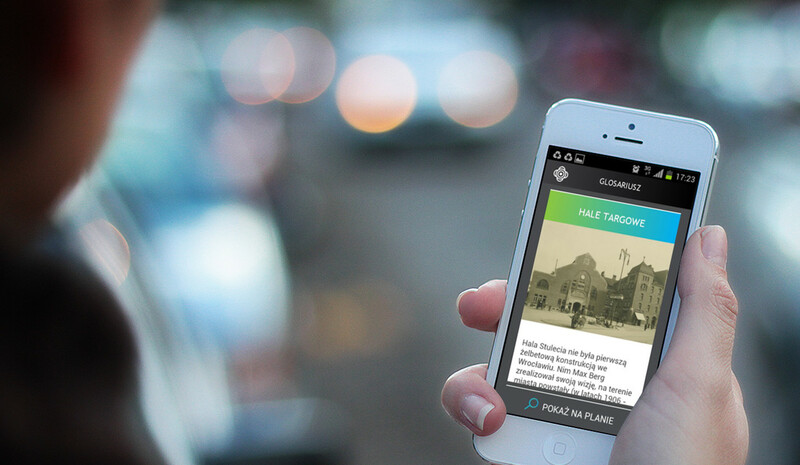 We created mobile apps as multimedia guides for smartphones and tablets for some of the leading cultural institutions. Visitors can make use of our applications in, among others, Cricoteka in Kraków, the Discovery Center of the Centennial Hall in Wrocław, Energy Science Centre in Kielce and soon also at the Shipwreck Conservation Centre in Tczew (a new branch of the National Maritime Museum). Thanks to them a visit to a museum or gallery becomes a fascinating adventure full of wonder and independently discovered curiosities. We create advanced applications with the Augmented Reality (AR) module. Energy Science Centre is a place where science and fun go hand in hand and educational meetings inspire creative experiments. The main theme of the Centre is energy, e.g. ways of generating energy and its practical application. The National Maritime Museum in Gdańsk will soon develop a new branch. The Shipwreck Conservation Centre in Tczew is planned to be opened in the summer of 2016. A museum dedicated to prisoners of the German prisoner-of-war camp Stalag IB Hohenstein was opened in Olsztynek. Gdynia InfoBox is a multifunctional information centre, which aims to provide news about municipal investments and involve the recipient with its multimedia format. The opening of a new building of the Centre for the Documentation of the Art of Tadeusz Kantor – Cricoteka has been one of the most important cultural events of 2014.